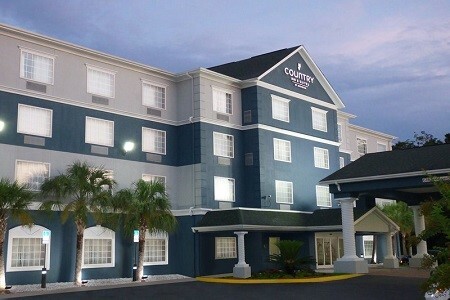 When you and the kids need some beach time, book the Country Inn & Suites® by Radisson, Pensacola West, FL, conveniently located just off I-10. Our free, hot breakfast lets you save time and money on fueling the entire family, and free Wi-Fi helps make planning your day easier. 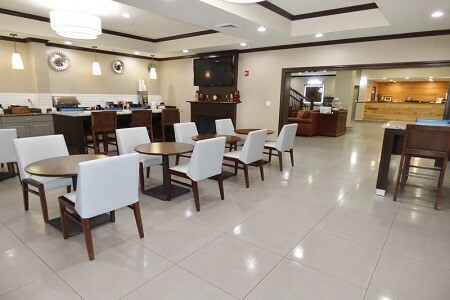 Keep your crew energized with snacks from your in-room microwave and refrigerator, and then skip the sunscreen as you enjoy a soak in our indoor pool. 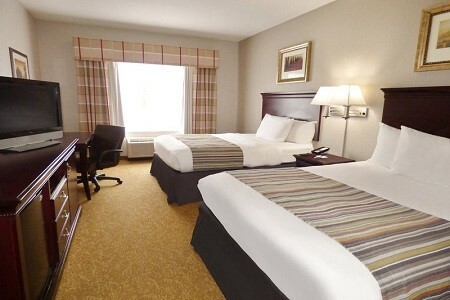 When you’re ready to explore, our hotel offers easy access to popular vacation spots like Pensacola Beach’s famous white sands and the National Naval Aviation Museum. Pile your plate high with golden waffles, hot biscuits, fruit, hard-boiled eggs, sausage, cereal and more at our complimentary, hot breakfast. For lunch or dinner, make your way to great nearby restaurants like The Fish House, which features fresh seafood and delicious drinks. National Naval Aviation Museum – Learn about the lives of American aces, and explore naval aviation from the first wood-and-fabric biplanes to contemporary fighter jets. From our hotel, the museum is a 30-minute drive toward the beach. Pensacola Beach – You can step out onto Pensacola’s famous natural beaches just 30 minutes south of our hotel. Fish in the gulf, snorkel or enjoy a batch of sweet gulf shrimp cooked to order. Historic Pensacola Village – Travel more than 450 years into the past to explore one of the New World’s earliest settlements, about 12 miles south of the hotel. See living historians in period dress teach the basics of colonial candle making or Spanish woodworking. Take a professional or a self-guided tour of the many on-site museums. Whether you’re hosting a family reunion or need to impress important clients with a great presentation, our flexible meeting room is a great choice for up to 40 of your guests. 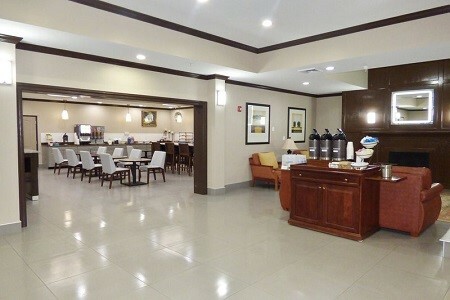 We can equip you for success with free high-speed Internet access, complimentary coffee and water service, breakfast and snack catering options, and audiovisual equipment.